[8 mins. 20 secs.] Filmwax Radio's 500th Episode welcomes the director Ramin Bahrani. Bahrani has made six feature films including the Neo-realism inspired "Man Push Cart" (2005) and "Chop Shop" (2007). The last of his films directly concerned with the immigrant experience was "Goodbye Solo" (2008). He moved into more overtly political territory with his next two films: "At Any Price" (2012) dealt with big agriculture and the influence of biotechnology on modern farming; and then came "99 Homes" (2014) which dealt with the mortgage and housing crisis of the past decade. 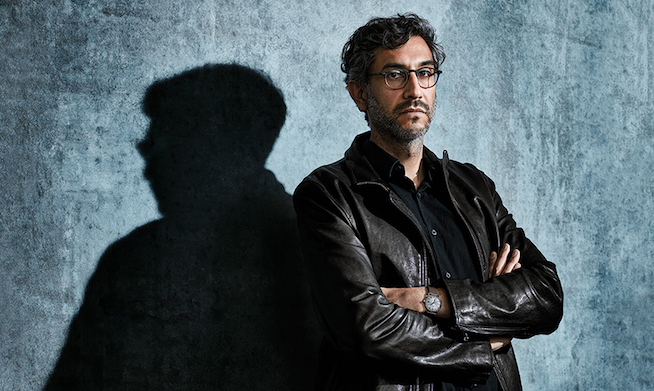 Most recently Bahrani directed a new adaptation of Ray Bradbury's seminal science fiction novella "Fahrenheit 451" for HBO. Also notable is his 2009 short film "Plastic Bag". Most of his films have opened in major world festivals including the Toronto International Film Festival, the Venice Film Festival, Berline Film Festival, the Viennale, Sundance and Cannes. He is currently at work writing a new screenplay, an adaptation of Aravind Adiga's novel "The White Tiger". Bahrani also teaches two classes at Columbia University's film department department.